Using computer sound card DC5V power supply, plug and play, easy to use. 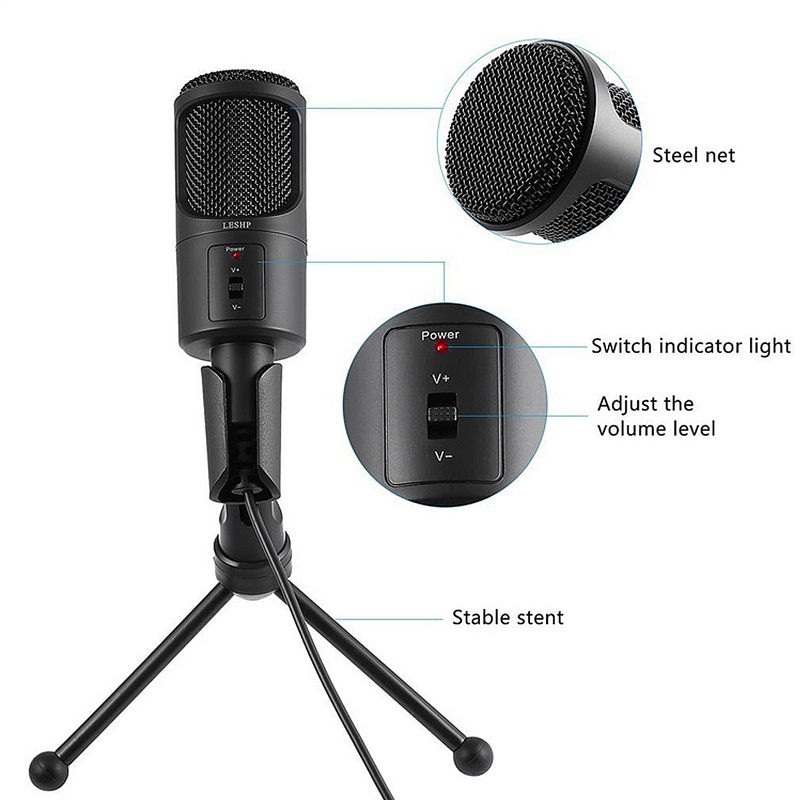 High sensitivity condenser microphone, supercardioid point, low noise, wide dynamic range. Design classic unique, sleek and stylish. 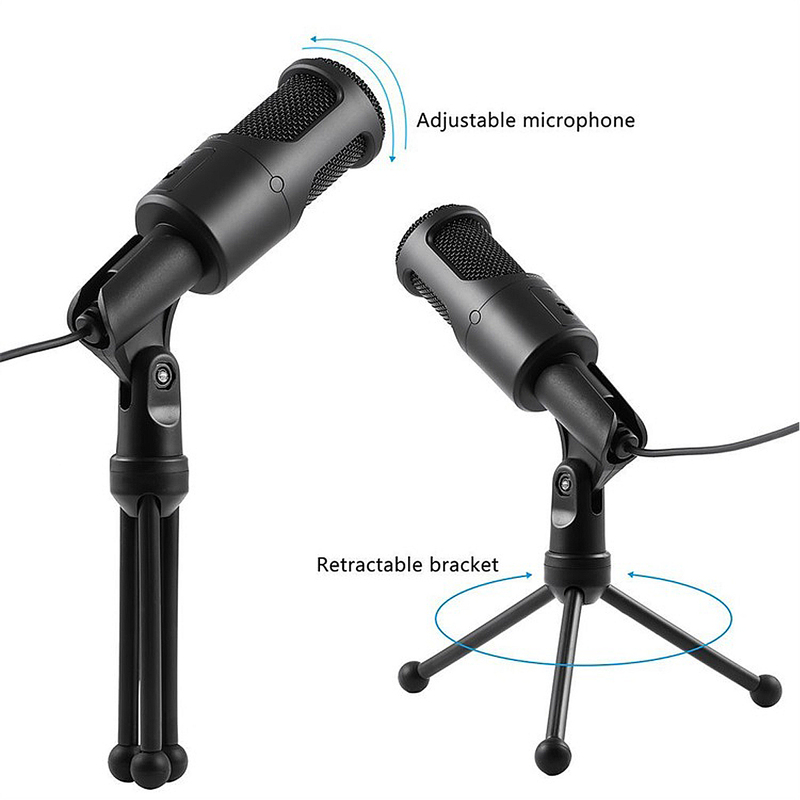 1.5 m professional microphone wire, USB plug suitable for most computer equipments. 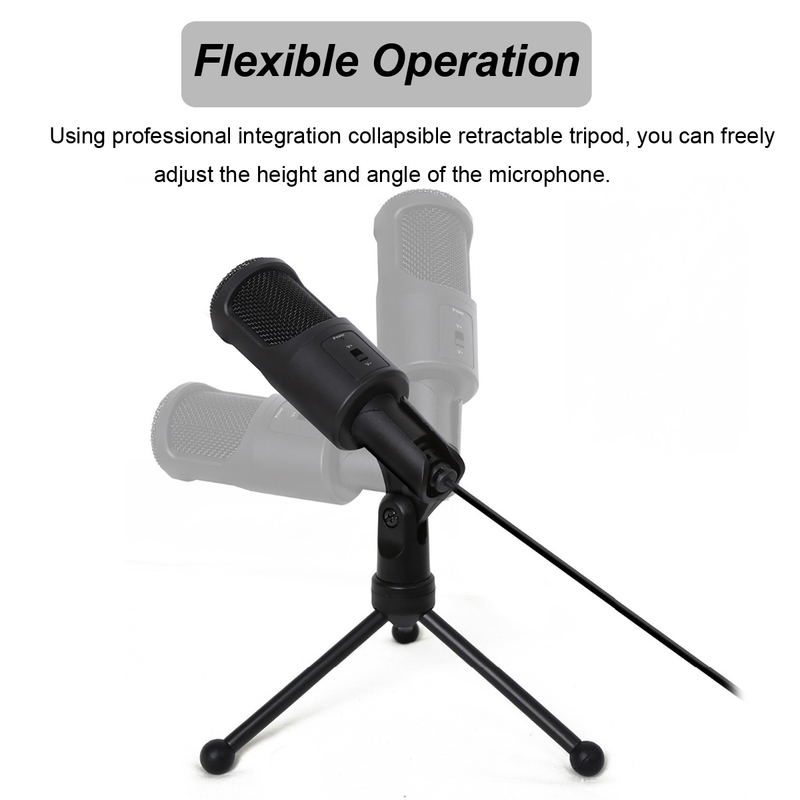 The use of professional integration collapsible retractable tripod, you can freely adjust the height and angle of the microphone, the operation is flexible and convenient, to achieve the separation of the microphone and bracket, can be accommodated for easy carrying. Can be more safely and conveniently placed on the desktop. High-quality plated metal mesh and built-in noise sponge, effectively filter out the wind, tooth noise and other noise. 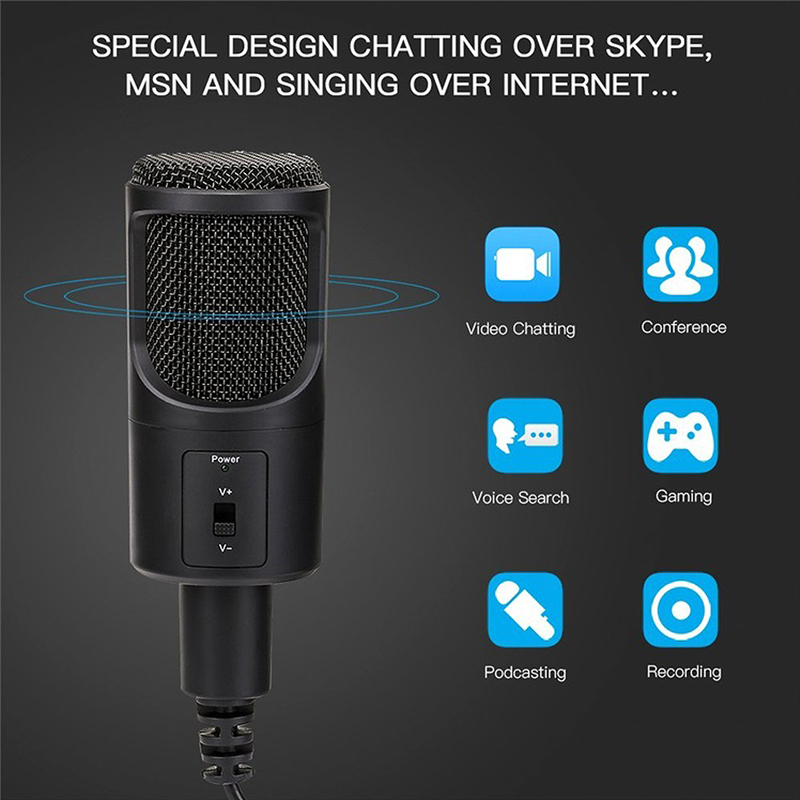 For personal computers recording, online video conferencing (network teaching, webcast), online games and chat, etc..
MIC Size: 4.8 x 14cm approx. If the microphone is covered by hand or placed close to the speaker ,howling will appear .To prevent this ,first decrease the volume, then place the microphone so that it is not pointed to the speaker and that there is a sufficient distance between the microphone and speaker. The sensitivity of cartridge is very fine. Don't drop, hit or apply strong shock to it."